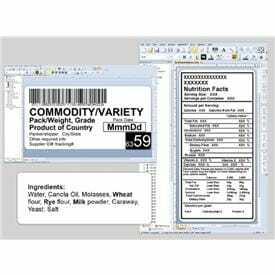 Every industry faces its own evolving label printing regulations and standard practices, and companies in every industry trust BarTender label design and printing software to help them meet those requirements with its ease of deployment and secure, configurable technology. Bartender is a proud affiliate of the National Association of Chemical Distributors and help chemical manufacturers, distributors and importers meet GHS labelling standards and other important chemical labelling requirements. As a member of the FL100+ list of top food industry technologies by Food Logistics magazine, Bartender help companies comply with labelling laws for food allergens in the EU and food labelling requirements in every country. BarTender is deployed at hospitals, pharmacies, labs and clinics around the world, enabling the data capture and tracking that healthcare labelling systems must support in today's regulatory and supply chain environments. BarTender is a secure component of FDA-compliant UDI installations for medical device labelling; of validated installations for pharmaceutical labelling; and of the logistics, warehousing, transportation, compliance and traceability labelling strategies for the world’s supply chains.